18 October 2017 | Montevideo - Heads of State and Government and ministers from around the world today committed to new and bold action to reduce suffering and death from noncommunicable diseases (NCDs), primarily heart and lung diseases, cancers and diabetes, the world’s leading killers. Read the full WHO press release. 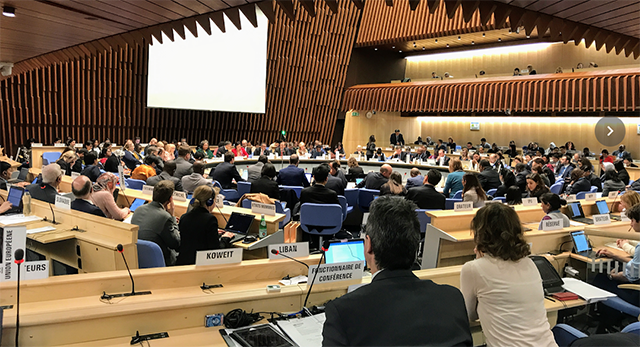 The 144th session of the WHO’s Executive Board took place from 24 January – 1 February 2019 with an exceptionally full agenda. Here is our pick of most relevant discussions for NCDs. The 72nd session of the World Health Assembly will take place at UN Headquarters in Geneva from 20 – 28 May 2019. From 24 January to 1 February 2019, the Executive Board of the World Health Organization will meet at WHO Headquarters in Geneva; The Executive Board advises and gives effect to the decisions and policies of the Health Assembly. Dr. Tedros commemorated his first year as WHO Director-General by sharing an annual letter detailing the work of the organisation since he took office in July 2017.